"See what happens when a dirty bum meets the filthy rich." When his doggy friend abandons him, homeless Jerry feels abandoned by the world. He sneaks onto a Beverley Hills property and tries to drown himself in the millionaire's swimming pool. He is subsequently rescued and taken in by the wealthy resident. Chaos ensues as two worlds collide in this social satire. 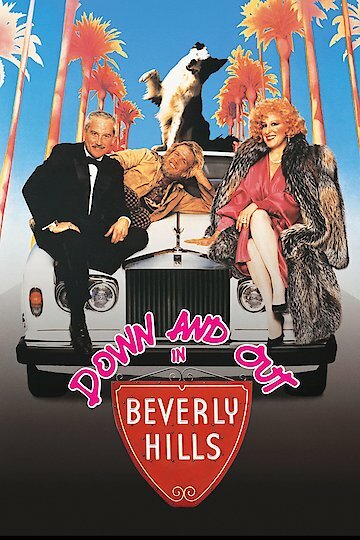 Down and Out in Beverly Hills is currently available to watch and stream, buy on demand at Amazon, Vudu, Google Play, iTunes, YouTube VOD online.